This mornings squirrel hunt. 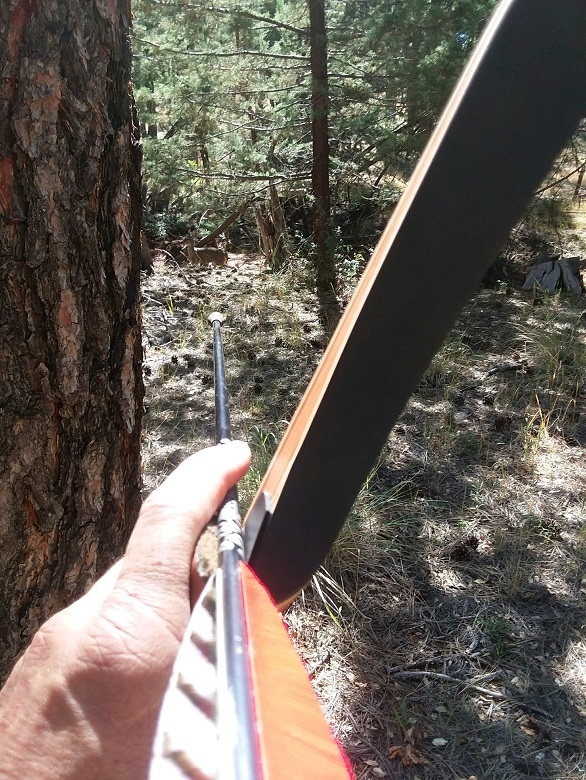 Rubber blunt = no stuck arrows in trees and super fun stump shooting!!! 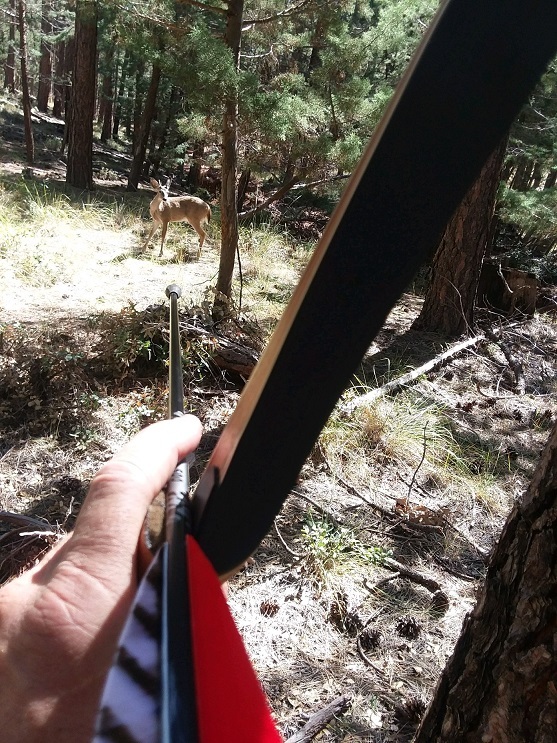 I do keep some pointy points on the left side of the quiver...ya know...in case something with a little more attitude than a cotton tail shows up. Nope. Don't have a tag. Next time out I will. And then we'll slip a 135gr Zwickey Eskilite into his ribs....twang, plop. Nice looking wee BBQ guest there Stovey. Shame you didn't have a tag mate. stovey, why didn't you teach him a lesson? 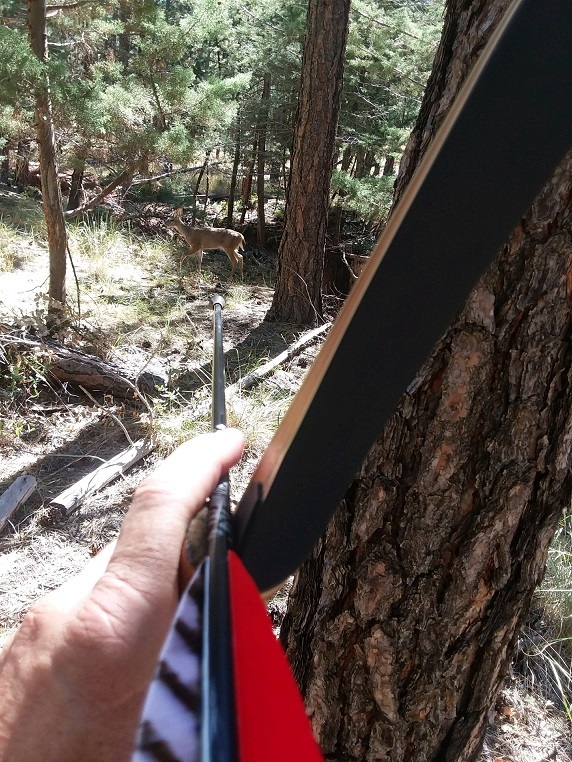 no tag...no ear tag.... next time. neat photos. Eveyone I've shared with is surprised I didn't! I has a soft side ya know! He was "too cute ta shoot". Dear Tum-tum: in order to TAKE, you have to have a TAG. "Some people ya just can't reach"
There you go Stovey...Pickin' on a little spike. Shame! "THIS IS STOVE'S TUMMY. LEAVE THE LAD ALONE. HE NEEDS TO FEEEEED MEEEE"
thinking about it today,here in N.Z. 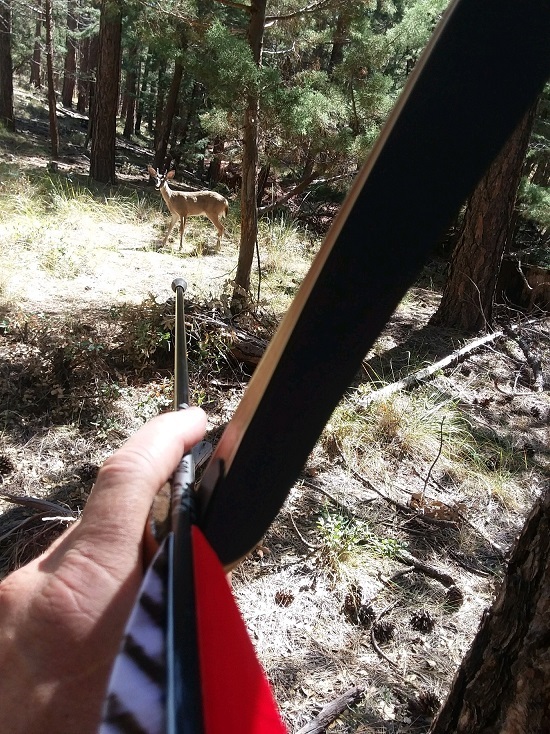 you would have been well within rights to take the deer ....BUT you arent allowed to use bow for birds... go figure that one out???? Gona study the Huntingnut School for field dressing. Almost like guttin' a trout only bigger. Keep the hair away from the meat. Wash the inside of the carcass as soon as possible. Snow will do.